After hurting his back working on his dad’s farm, Dr. Johnson went to a chiropractor he knew through a friend. His problem was resolved, and while there he noticed that someone was being treated for migraines. Dr. Johnson’s mom suffered from migraines, and he convinced her to see the chiropractor. It helped her, too, and Dr. Johnson started asking more questions. He discovered the Philosophy of Chiropractic was based on scientific facts as true as gravity. While in school he learned the vast philosophy of Chiropractic and how 33 principles have provided the backbone of the profession. Dr.Johnson likes to keep it simple breaking down all 33 principles into 3 known facts. The body heals and regulates itself. If you have a cut or scrape a scab forms as part of the healing process. Even more complex, a broken bone is healed as the body creates more bone to mend the break. There is no medication necessary to carry out the normal healing and regulating commands of the body. The organ system that controls everything in the body is the brain. The brain extends to become the spinal cord. From the spinal cord, nerves branch out to organs, muscles and all cells of the body. The nervous system is the first to develop upon conception. It is the commanding relay system like a computer processor or electrical wiring in your house. Chiropractic is simple in understanding that we are concerned with anything that interferes with the nerves that communicate with the body and the brain. If anything interferes with this communication it is called a subluxation. Chiropractors remove the subluxation so that the nervous system can communicate at 100%. 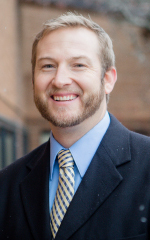 Originally from Bark River in Upper Michigan, Dr. Johnson graduated from Logan College of Chiropractic in St. Louis, Missouri. He opened ProWellness Chiropractic and Rehab shortly after graduation. Passionate about making changes in people’s lives, he is here to get you out of pain, help you move better and allow you to get back to doing the things you love. When he’s not helping patients, Dr. Johnson stays busy with his wife Jessica and their two young boys Austin and Chase. They’re active and enjoy spending time outdoors camping or hunting. Discover what we can do to increase your quality of life. Contact our friendly, knowledgeable team today!